In June 2017, a significant decision was issued by the Supreme Court of Pennsylvania that will benefit numerous injured workers in Pennsylvania. Through this decision, the Supreme Court has struck down a provision under which insurance carriers were able to limit the receipt of workers’ compensation benefits for the vast majority of injuries, even if the injured person was unable to perform their prior job. In order to better understand the significance of this decision, some background regarding the history of the Workers’ Compensation act and the legislation that created the now impermissible impairment rating framework is helpful. The Pennsylvania Workers’ Compensation Act dates back to 1915, when the first Pennsylvania Workers’ Compensation Act was enacted by the state legislature. Since that time, there have been numerous amendments to the law, most significantly several that were favorable to injured employees in the early 1970s. Prior to the enactment of workers’ compensation laws, the only potential recovery available to injured workers was to pursue a lawsuit against their employer, which usually was not an adequate remedy, and likewise was not something that employers wanted to face. The general idea of workers’ compensation was to benefit both injured employees and employers. Employees are protected by a system that is intended to more quickly cover the cost of lost wages and medical expenses rather than through a lawsuit that might take years to resolve. It is a “no-fault” system, meaning that an employer cannot use an employee’s simple negligence as a defense to a workers’ compensation claim. In exchange, employers cannot be sued by their employees for work injuries, and their only remedy is under the Pennsylvania Workers’ Compensation Act. One of the basic principles of the system, which had been in place for many years, was that workers’ compensation benefits were potentially available for life, if an employee was disabled permanently. The impairment rating provisions dramatically changed this basic principle. in 1996, legislation was enacted which significantly changed the workers’ compensation system in Pennsylvania by creating a system for “impairment rating”. In short, the system allowed workers’ compensation insurance companies or self-insured employers to require an employee to submit to an evaluation with a doctor after the receipt of two years of total disability benefits. The purpose of this evaluation was to determine the percentage of “whole body impairment” caused by the work injury. Unless the employee had a greater than 50% impairment, which was very rare, they were automatically then restricted to the receipt of workers’ compensation benefits for no more than 500 weeks. This resulted in many people losing their entitlement to workers’ compensation benefits, even though they remained completely disabled, after approximately 11 ½ years. This was a significant change from what many referred to as the “prior bargain”, that in exchange for the limitation of payments available to an injured worker under the workers’ compensation act, benefits were potentially available for one’s lifetime. 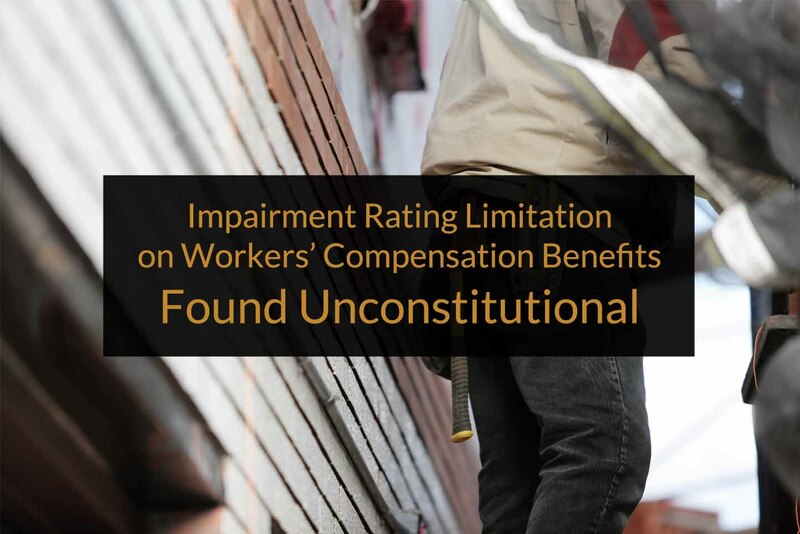 The recent decision by the Supreme Court, however, has struck down as unconstitutional the section of the workers’ compensation law that allowed for the impairment rating system. This means that, once again, injured employees can potentially collect workers’ compensation benefits for their entire lifetime. It should be noted that employers and insurance carriers can still try to limit claims through other methods, such as proving that the employee has an earning power in some lighter duty capacity, but there is no longer the easy, automatic limitation that the impairment rating system gave to employers and insurance carriers. What This May Mean to You. As long as you have not settled your case, if you are receiving or had been recently receiving workers’ compensation benefits and had an impairment rating, the duration of benefits is no longer limited. If you are in this situation, and have questions, call our office for a free consultation regarding your case. DO I NEED AUTO INSURANCE? Everyone who owns a motor vehicle is required to carry at least minimum auto insurance coverage in Pennsylvania. This is mandated by the Pennsylvania Motor Vehicle Financial Responsibility Law (PMVFRL). The PMVFRL requires everyone to carry liability limits of $15,000.00 per person and $30,000.00 per occurrence, and at least $5,000.00 in first party medical benefits and property damage coverage. The medical benefits pays your medical expenses for auto accident injuries to the limit of your coverage, regardless of fault. While minimum coverage is cheaper, it is often wise to buy more coverage than the minimum to protect yourself in the event you are at fault for someone else’s injuries, their property damage, or if you have insufficient health insurance to cover your own injuries. There are also other coverages that protect you. Uninsured and underinsured motorist coverage protect you if the at-fault driver does not have enough liability coverage to compensate your injuries. Wage loss coverage protects you from income loss resulting from the accident. You may also cover yourself for rental car and funeral expenses. WHO IS COVERED BY MY INSURANCE? 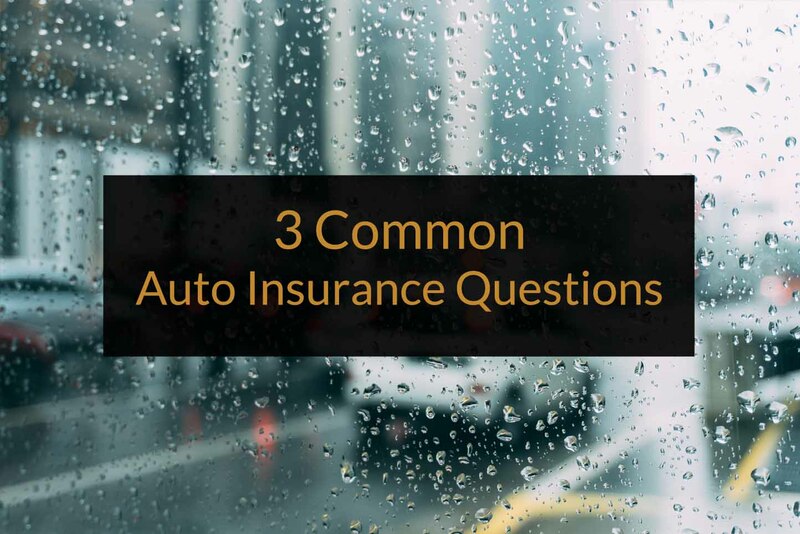 Your auto policy covers you as the policy holder, anyone named on the policy as an insured, family members residing in your household, uninsured occupants of your car, anyone who drives your car with your permission and uninsured pedestrians and bicyclists who may be involved in an accident involving your vehicle. Of course, different coverages may effect each of the above, depending on the circumstances. In Pennsylvania, you have a choice between “full tort” and “limited tort”. Full tort costs more, but covers you better for your own injuries received in an auto accident caused by someone else. People with full tort can receive compensation for wage loss and medical expenses beyond their own coverage, pain and suffering, inconvenience, embarrassment and loss of quality of life, without any artificial limitations to their recovery. Limited tort, while cheaper, often is not worth the money you save if you actually suffer injury due to the negligence of another. People who chose limited tort can only recover medical expenses and wage loss beyond their own coverage, and not those other elements of damages, unless they have suffered what the law would define as “serious injuries”. A “serious injury” is defined by the PMVFRL as “a personal injury resulting in death, serious impairment of a body function or permanent serious disfigurement”. Often, injuries that you may think are serious, actually may not rise to the level of “serious injury”, as defined by the law. Our firm always recommends the “full tort” option. If you are partially or totally disabled due to a work-related injury, your Pennsylvania Workers’ Compensation rate – the amount that you will be paid – is of critical importance. Despite this, most people have little understanding of what their compensation rate should be, and often simply accept that what the Workers’ Compensation insurance carrier tells them and assumes that their Workers’ Compensation rate is accurate. Many times, however, an injured worker will contact us after being on Worker’s Compensation benefits for a period of time, and we discover that the Workers’ Compensation rate that they have been receiving has been wrong. 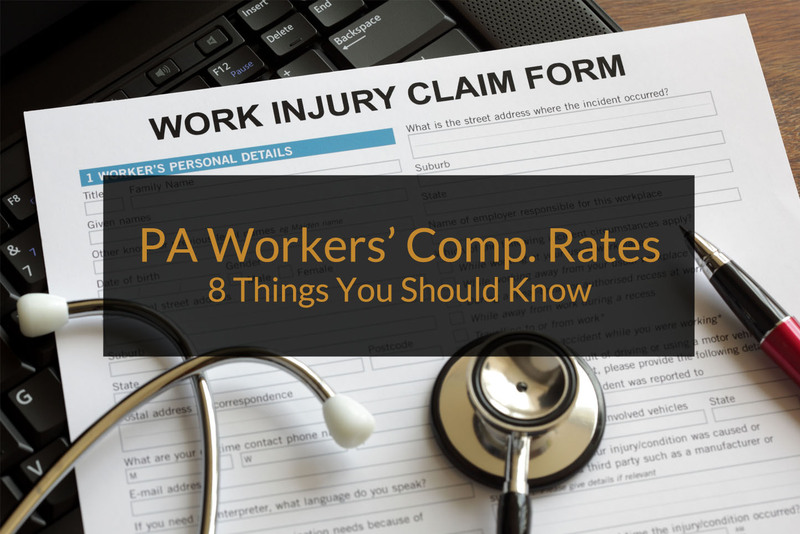 Here are eight things that you need to know, if you become totally or partially disabled due to a work-related injury, regarding your Workers’ Compensation rate. Workers’ Compensation rates are based upon each individual’s average weekly earnings at the time of their injury. Put simply, someone who earns more is going to receive a higher Workers’ Compensation rate than someone who earns less. Even two coworkers with the same hourly wage rate are likely to have different compensation rates. Determining your individual Workers’ Compensation rate can seem difficult, but it is not nearly as complicated as many may believe. There is a two-step method for calculating your Workers’ Compensation rate. First, you must calculate your average weekly wage. From that, you must calculate your Workers’ Compensation rate. Method number one: If you have been employed for more than nine months by the employer where you sustained your injury, your average weekly wage will be determined by looking back one year from the date of your injury, and averaging the three highest thirteen week periods of time during that year, to get a weekly figure. Method number two: If you have been employed less than nine months, but more than three months, any two consecutive periods of thirteen weeks during that time can be used to calculate your average weekly wage. Method number three: If you have been employed less than three months at the time of your injury, the Pennsylvania Worker’s Compensation Act states that your average weekly wage is calculated based upon the number of hours you were expected to work times your hourly rate. Unfortunately, the law is unclear as to whose expectations – yours or your employer’s – regarding the number of hours you were expected to work should be considered. The law is also unclear as to how to handle individuals who are paid on a piecework basis or commission basis, rather than a straight hourly rate. Individuals who have been employed for less than thirteen weeks, therefore, need to be particularly careful to make sure that their average weekly wage has been properly calculated. Other calculation methods: If your wages are entirely based upon an annual salary, your average weekly wage is determined simply by dividing your salary by fifty-two weeks. If your wages are based upon a set monthly salary, you would multiply that number by twelve and divide by fifty-two. If you have a set weekly wage, that is your average weekly wage. Additionally, in very rare situations where someone has an occupation that is exclusively seasonal (not capable of being performed on a year-round basis), there are special methods of calculation that apply, and which usually result in a lower average weekly wage. Be cautious, however, as employers will misclassify temporary workers or some other types of employment as seasonal, when in fact the work is not seasonal work as defined under the law. Due to the complexity of these situations, it is recommended that if your employer or the insurance carrier says you are a seasonal employee when calculating your average weekly wage that you immediately consult an experienced Worker’s Compensation attorney for assistance. Your Workers’ Compensation rate for total disability is calculated based upon your average weekly wage calculation. After your average weekly wage is determined, the second step is to calculate your Workers’ Compensation rate. Many people are under a misunderstanding as to the typical percentage of the average weekly wage that is paid as your Workers’ Compensation rate. For most people, the amount that you received is 2/3 of their average weekly wage. However, there are maximums that apply for high wage earners, and minimums that can apply for lower wage earners. A useful tool on our website for calculating your compensation rate once you know your average weekly wage can be accessed by clicking here. Your total disability Workers’ Compensation rate never changes. Once your Workers’ Compensation total disability rate has been correctly determined, it is set in stone. There are no annual cost-of-living adjustments, and even if you become disabled again several years after your injury has occurred because of that injury, your total disability rate is based upon your earnings at the time of your injury, which are often less than they are when you become disabled years later. Your Workers’ Compensation rate for partial disability is based upon a comparison of your average weekly wage at the time of your injury and your weekly earnings thereafter. Partial disability benefits are, put simply, payable whenever you have a work related injury that causes you to lose some earnings, but does not completely disable you. Partial disability benefits can sometimes be short-term, such as when you are limited to some type of light duty work while you recover from an injury, or long-term because of permanent restrictions. If you are working following an injury but are losing money because that injury prevents you from doing the full extent of your time of injury job, you need to determine your partial disability Workers’ Compensation rate. Although you will have a fixed figure for your time of injury average weekly wage at this point, often your weekly wages will vary while in light or modified duty. This will usually require a weekly or biweekly (depending upon your frequency of pay) calculation to occur to determine your proper partial disability compensation rate for each paycheck. In order to calculate your partial disability rate, you must subtract your weekly light duty earnings from your average weekly wage, and two-thirds of the difference is your partial disability rate for that week. Don’t forget about overtime and shift differential in calculating your Workers’ Compensation rate! When calculating your average weekly wage to get to your Workers’ Compensation rate, it is important that you include all of your earnings, which includes overtime pay and shift differential. Many times, employers only report one’s base pay, and do not include overtime or shift differential, when reporting their employee’s earnings to the Workers’ Compensation insurance carrier following an injury. If your employer fails to include these earnings in what they tell the insurance carrier, the calculation of your average weekly wage and Workers’ Compensation rate will, therefore, be too low. Concurrent employment (second jobs) also count in the calculation of your average weekly wage and your Workers’ Compensation rate. If you have more than one job, you are entitled to be paid Workers’ Compensation benefits based upon the earnings from all of your jobs if you sustain a disabling work injury. The average weekly wage for each job that you hold at the time of your injury must be calculated separately, using the formulas discussed above, and then added together to get a total average weekly wage, from which your Workers’ Compensation rate is determined. Our office is always available for a free consultation regarding your Pennsylvania Workers’ Compensation claim, which will include a review of your documents that show the calculation of your average weekly wage. We have had instances where thousands of dollars in back benefits were paid to our clients where mistakes were found in the calculations by the insurance carrier. Work-related back injuries are one of the most common types of workplace injuries, accounting for approximately 1/3 of all work-related injuries each year. Back pain can be caused by a single event, such as slipping and falling, or lifting something that is too heavy. However, back pain can also be caused by repetitive activities over the course of time such as frequently lifting, pushing or pulling objects over the course of a shift. Report the Injury. 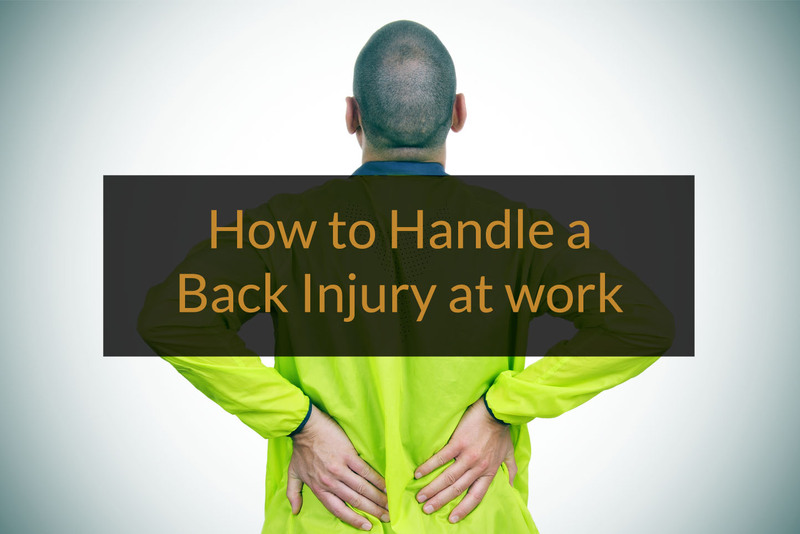 If you begin experiencing any of the symptoms that are associated with a low back injury you should immediately report the injury to your employer. We have found that many injured workers do not report these injuries immediately thinking that the injury “isn’t a big deal” and that they can “walk it off.” However, if the injury has not been immediately reported it is more likely that the insurance carrier will deny that an injury has occurred due to the gap in time and possibility that the injury occurred outside of the work place—particularly if the individual has ever had any other complaints of back pain or history of prior back injuries. Consequently it will be more difficult to prove that the symptoms are a result of the work-related injury—particularly if you do not seek immediate medical treatment. Seek Medical Treatment. It is important to seek medical treatment as soon as possible following a work-related back injury. Even if you are not experiencing severe symptoms it is important to get your symptoms documented by a medical professional. What may at first seem to be a “minor” back injury may in reality end up being much more disabling than you expect. Most back injuries gradually improve over the course of a few weeks, particularly with the use of over-the-counter pain relievers, muscle relaxers, ice/heat treatments, physical therapy and light to moderate exercise and stretching. However, if your symptoms do not improve, or become more severe, it is important to seek regular follow up care with a doctor. Such follow up treatment may include ordering diagnostic testing such as x-rays, MRIs, CT Scans, Bone Scans and Nerve Conduction Studies (EMGs). The doctor may also prescribe injections, and in rare cases, surgery. Be sure to have your doctor document all of your complaints and if you do not feel the doctor is adequately addressing your complaints, or is attempting to return you to a level of work that you believe is beyond your physical capabilities, insist on being seen by a specialist such as an orthopedic surgeon or neurosurgeon. Ensure that the Injury is Properly Accepted. Following a work injury in Pennsylvania, an injured worker is entitled to receive documentation either accepting or denying the occurrence of the injury within 21 days of notifying the employer of the occurrence of the injury. If you have not received documentation accepting your injury it is important to contact an experienced Workers’ Compensation Attorney to ensure that your rights under the Pennsylvania Workers’ Compensation Act are being protected. Even if you receive notice that your claim is being accepted it is important to carefully review the description of the accepted injury. In many cases insurance companies do not adequately describe the injury the worker has sustained. For example the insurance company will often accept such injuries as merely a strain or sprain. This can be hugely problematic later on if the injured worker ends up requiring surgery to repair bulging or herniated discs because the insurance company may deny payment of such treatment alleging that it was not part of the accepted injury. This can lead to protracted litigation and substantial unpaid medical bills. Remember reporting your back injury at work as early as possible is important for your health and your case. If you need an attorney for your workplace back injury please contact our legal team. One of the most common injuries seen in our practice is the back injury. People hurt their backs in auto accidents, slips and falls, trips and falls, industrial accidents and truck accidents, just to name a few. Sometimes the injury is catastrophic, immediate and easy to link to the accident that caused it. Other times, the injury does not appear to be as severe, occurs insidiously over time, or is complicated by pre-existing conditions and delays in treatment. It is the second category that can present unique problems in linking the injury to the event. Although it is always important to seek immediate treatment, it is even more so concerning this second category. Getting these injuries medically documented by hospitals, doctors, chiropractors and therapists as soon as possible helps the injured person to legally link the injury to the accident. Continuing the treatment when necessary and as recommended by the medical professional helps the injured person head-off arguments by the responsible party that the injury is just part of the pre-existing condition and not caused by the accident. The injured person should be forthcoming and honest with the medical providers when it comes to similar problems in the past. This way, the medical provider can obtain the prior records and ascertain if the condition caused by the accident is somehow different or more severe than the problems that existed before. The reason that this is important is that no matter how obvious it may seem to you or your attorney, medical evidence is required to prove that an injury is related to an event, like an accident. To prove this link, your attorney will often write the doctor for his opinion as to whether your condition is the result of, or related to an accident. If your doctor does not have a complete understanding of your medical condition, including any similar past problems, his or her opinion that the condition did result from the accident can easily be called into question by the person who caused the accident and the responsible liability insurance carrier. 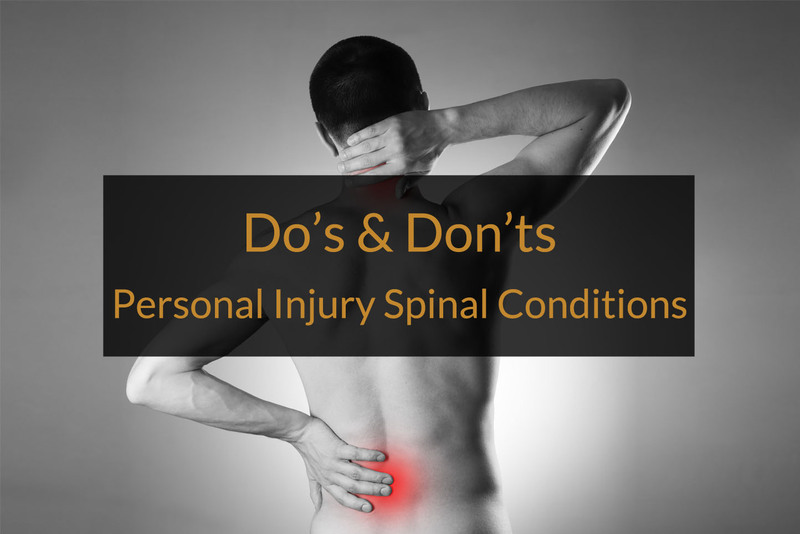 Following this advice can also increase the value of your personal injury case for your back injury, whether it is a strain, sprain, or herniated disc. Should I hire An Attorney When Settling My Workers’ Compensation Case? Our law office often receives phone calls from injured workers who have been contacted by an insurance adjuster asking if the injured worker would like to settle their workers’ compensation claim. In some cases, the adjuster will even make an initial settlement offer. These injured workers ask us whether they really need an attorney to settle with the insurance company or whether they can settle the case on their own and save themselves the attorney fee. While an injured worker can settle a claim on their own, but there are many reasons why doing so is not a good idea. Perhaps the most important benefit an attorney can provide to you in the settlement process is to ensure that you fully understand the impact of the settlement on your entitlement to benefits both under the Workers’ Compensation Act as well as other benefit programs such as Social Security Disability. You should not settle your claim unless you understand the ramifications of the settlement because once your settlement is approved by a Workers’ Compensation Judge it generally cannot be undone. When most injured workers’ think about settling a workers’ compensation claim, they are generally thinking about receiving a lump sum of money in exchange for giving up their entitlement to weekly or bi-weekly workers’ compensation benefit checks. However, in most cases settling a claim is more involved than that. In addition to settling your entitlement to wage loss benefits, most insurance companies will also want to resolve your entitlement to the payment of future medical benefits. There are a number of different ways that both the wage loss and the medical benefits can be settled. Discussing these options with a workers’ compensation attorney will help you clearly understand what settlement would mean given the specific facts of your claim. In most cases, when you settle your workers’ compensation claim you will also be required to resign as part of the settlement. If you have a pension, health or other benefits through your employer what happens with those benefits will have to be taken into consideration. It is also important to understand what a settlement does not include. In a workers’ compensation case, pain, suffering, and various other components of what you might think are taken into consideration are not part of what you can recover. Knowing what is recoverable and emphasizing the value of those items is what is important. Help you weigh the pros and cons of settling. 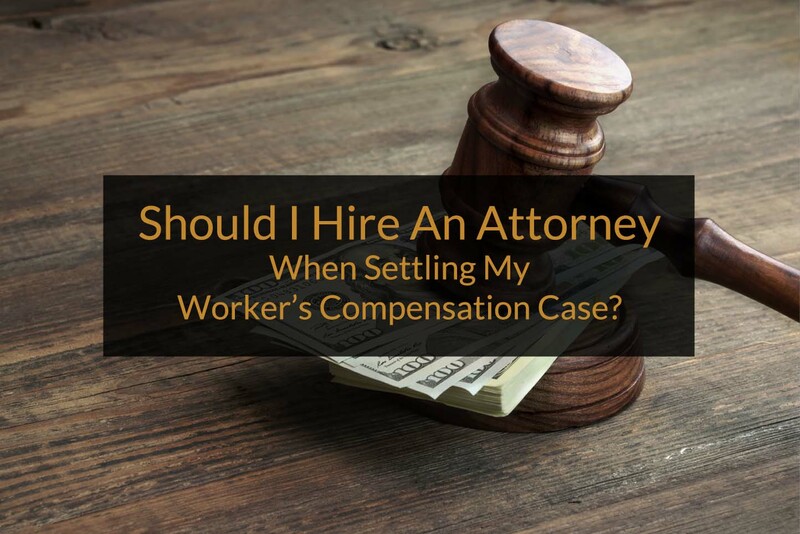 The first question an injured worker should ask themselves—and their attorney—is, does settling my workers’ compensation case make sense for me? Each worker and each workers’ compensation claim is unique. It is important to consider your current medical condition, your future medical treatment needs, and the likelihood that you will be capable of returning to work with your time of injury employer or some other employer now or in the future. You also need to understand the current legal status of your claim, and what litigation is likely to occur in the future, as well as the possible outcomes of any litigation that is currently pending. Our experienced workers’ compensation attorneys will review your unique situation and explain to you what potential benefits you can gain through resolving your claim as well as what rights you will be giving up. They will help you evaluate whether now is the right time for you to settle, or whether it may be prudent to wait until some later date to pursue a settlement. Calculate the value of your workers’ compensation claim. Once you have determined that settlement of your claim is the right option for you, the next step is to determine what your case is worth. There is no “one size fits all” method of determining what your claim is worth. The value of your case will depend on a number of factors, including: the current legal status of your claim, your compensation benefits rate, the severity of your medical condition, your ability to return to work, the strength of your medical evidence, the strength of the employer/carrier’s medical evidence, the identity of the insurance carrier as well as numerous other factors. Our workers’ compensation attorneys will take the time to fully understand your unique situation and, after considering all of the available information, draw on their many years of experience to provide you with estimates as to the value of your claim. Negotiate the settlement to maximize your recovery. After you have an understanding of the potential value of your claim the next step is to communicate your desire to settle your claim to the insurance carrier. Our experienced attorneys will work with you to determine exactly what benefits you are looking to receive through a settlement and will then chart a course of action to help you achieve your goals. Our attorneys use their many years of negotiating experience to determine the best time and manner in which to approach the insurance carrier in order to reach the most favorable settlement possible for our clients. For example, our attorneys may recommend holding off on making a settlement demand to ensure that you do not come across as “too eager” to settle. We will also make recommendations as to the amount of the settlement demand to ensure that your demand is not too low nor so high that the insurance carrier determines that your case cannot be settled. In most cases our Attorneys are able to negotiate a higher settlement offer with the insurance carrier than what an injured worker is able to achieve on their own. This is because we are able to justify the value that we have placed on the injured workers’ case based on our thorough assessment of the injured worker’s condition and prognosis as well as the insurance carrier’s potential liability. Review the workers’ compensation settlement documents. After a settlement has been negotiated with the insurance carrier it must be put into written form on a document called a Compromise and Release Agreement by Stipulation. This is where hiring one of our experienced workers’ compensation attorneys can really pay off. The actual wording of the Agreement is very important both in terms of making certain that the Agreement reflects the actual terms of the deal that was struck, but also to ensure that your rights are protected. For example, if your settlement agreement is not worded in certain terms your entitlement to other benefits, such as Social Security Disability, may be negatively impacted. Our attorneys will carefully review the Compromise and Release Agreement to ensure that your rights are protected and that you will receive the benefits that you are entitled to receive by virtue of the settlement. Represent you at the final workers’ compensation hearing. After the settlement has been formalized in writing the final step is to have the agreement approved by a Workers’ Compensation Judge. Prior to the hearing our experienced attorneys will sit down with you and review all of the settlement paperwork to ensure that you understand the terms of the settlement and how it will impact you going forward. Our attorneys will take the time to answer any questions that you may have and will also prepare you to testify about the settlement before the Workers’ Compensation Judge. At the hearing the Judge’s sole role is to determine whether or not you understand the terms and conditions contained within the Compromise and Release Agreement. Our experienced attorney will present your testimony to the court to demonstrate to the Judge that you have a full understanding of the Agreement so that the Judge will approve the Agreement. If you have received a phone call from an insurance adjuster seeking to settle your claim, or if you are interesting in settling your workers’ compensation claim, give our experienced workers’ compensation settlement attorneys a call today at 724-225-9130 for a free consultation. Lately, we have received several calls from Pennsylvania workers who have hit their head at work. In many of these cases, the individuals said they had slight headaches afterward, but felt their pride was more wounded than anything else. These workers wondered whether it was really necessary to report the injury to their employer, particularly if they did not sustain any other physical injuries. We always recommend that an injured worker report any injury, especially brain injuries, to their employer and complete an accident report immediately after the injury occurs. It may be that nothing will come of it, but it is always better to have the injury documented than to discover that there is a problem later. 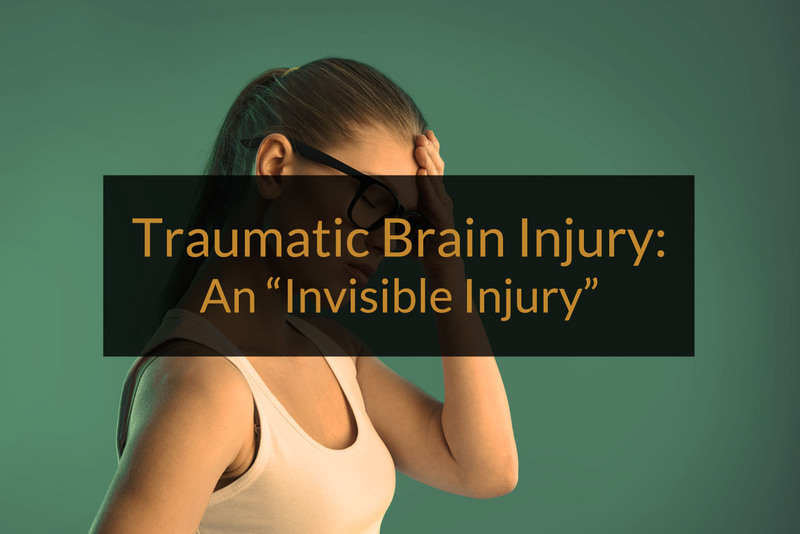 This is particularly true in the case of traumatic brain injuries because in many cases there are no visible indicators that an injury has occurred. Furthermore, while signs and symptoms of a traumatic brain injury may appear immediately, in many cases the symptoms only become apparent days or weeks later. Any delay in reporting a work injury makes it less likely that the workers’ compensation carrier will voluntarily accept the claim. This is especially so in the case of traumatic brain injuries where the diagnosis and treatment of the condition are highly dependent on the injured worker’s report of their symptoms and limitations. A traumatic brain injury is caused by a blow or other traumatic injury to the head or body. As a result of the impact, the brain then collides with the skull, resulting in possible bruising of the brain, tearing of nerve fibers and bleeding. The severity of a traumatic brain injury varies widely, depending on which part of the brain is affected, whether it occurred in a specific location or over a widespread area, as well as the extent of the damage. Falls—down steps, off ladders, on icy walkways or in parking lots. Motor Vehicle Accidents—collisions involving cars, trucks, bicycles, pedestrians. Blows to the head, including colliding with moving or stationary objects. Explain all of your symptoms and concerns to your doctor. Follow your doctor’s treatment recommendations and work restrictions as needed. Seek treatment with specialists, such as a neurologist or neuropsychologist; you are currently seeing is taking your condition seriously. Do not rush back into daily professional or personal activities. If you have memory problems, make lists and document important information. Only drive a vehicle or use heavy equipment if your doctor has cleared you to do so. Avoid activities which could cause another blow/jolt to the head. If you have sustained a traumatic brain injury at work, contact our experienced Pennsylvania Workers’ Compensation Attorneys at 1-800-964-2667 to determine whether your rights are being fully protected. Learn What Personal Injury Attorney Can Do for You. 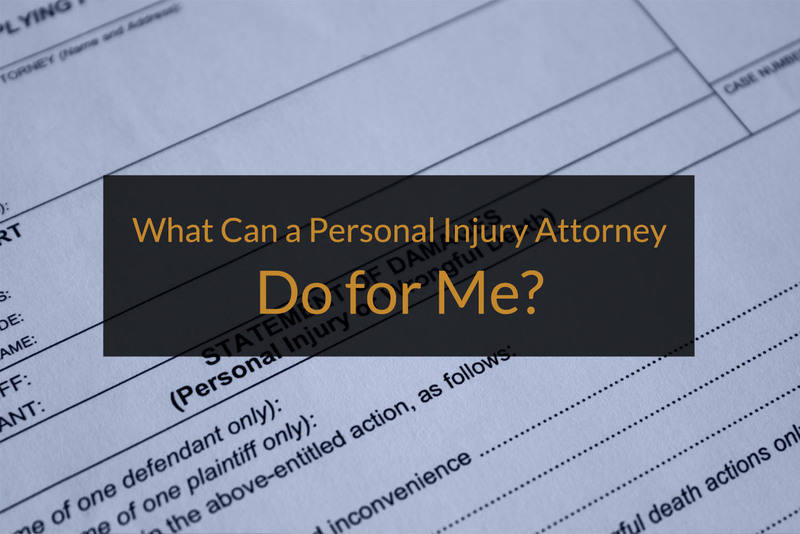 People often wonder, or even ask, “what can a personal injury attorney do for me?” The ultimate answer is maximize your recovery and be there for you every step of the way during a difficult, confusing and unfamiliar process. Most people who are injured by the negligence of another have never been through the process of a claim before and do not even know how to start. This can cause anxiety over the process itself, when injured people already have enough to worry or become anxious about. A personal injury attorney can ease this anxiety in a variety of ways throughout the claims process. Remember, the insurance companies do this type of thing every day. Injured people do not. This is why having an experienced personal injury attorney is important. Early in the process, a personal injury attorney can gather and preserve evidence, have evidence looked at by an expert if necessary, get your claim started the right way, help you choose appropriate medical specialists for your type of injuries, insure that the opinions of your treating physicians are preserved, and contact witnesses and preserve what they have to say for future use, just to name a few of the things in which most people lack experience. Perhaps most importantly, an experienced personal injury attorney can help protect the injured person from him or herself. Doing these things improperly can compromise a case later on. The insurance company will likely want the injured person to give a recorded statement, which may sound ok, as long as you tell the truth, but can also hurt your case later. Insurance companies are very experienced in these matters, including taking statements. This experience often translates into getting people to say things that although true, are misleading, or incomplete and then this is used to try and show inconsistencies in a story when the entire, true story comes out eventually. A personal injury attorney can speak for you, in lieu of this statement, or if a statement becomes absolutely necessary, the attorney can prepare you to handle questions that would otherwise be confusing, avoiding the pitfalls that can occur otherwise. As the claim progresses, the insurance company will want to know how things are progressing and if you don’t have a lawyer, you will have to do this yourself. This gives the insurance company multiple opportunities to use your own words to help them build a defense against your claims. A personal injury attorney can update the insurance company for you, by continuing to gather and preserve evidence and periodically providing it to the insurance company in an orderly and controlled manner. You may be harassed by bill collectors due to the problems you are experiencing from your injuries. A personal injury attorney can stop this harassment, so you can concentrate on getting well. A personal injury attorney can also organize and catalog what is gathered for future use and prepare for trial, should that become necessary. Good trial preparation starts at the very first client meeting, and not just weeks or months before the trial starts. It goes without saying that the average injured person is in no reasonable position to try their own case in court. But by the same token, most don’t know how to continuously prepare for that trial, if necessary, either. Health or other insurance companies may assert liens for reimbursement of injury-related treatment bills they have paid out of your recovery. In some cases, these liens are valid and must be taken into consideration when resolving or trying a case. In other cases, these liens are not valid and do not have to be repaid out or your settlement or verdict, but the health carrier will still try to assert them. Do you know which are valid? Even in the case of valid liens, often you do not have to reimburse to them the full amount of the payments they have made. Do you know the formulas used to diminish repayment? An experienced personal injury attorney knows how to sort through this. At some point, when all of the damages can be ascertained, like the impact the injury has had on your life, medical bills, liens for reimbursement claimed by your own health carrier, wage loss and all other expenses made necessary by the injury, it will be time to ascertain the value of your claim. This is yet another area wherein most injured people have no experience. Since the personal injury attorney has already been doing the things mentioned above, he or she will likely only need to get a few final items to start the evaluation process. There aren’t any mathematical formulas to ascertain the value of a case. Since every case is somewhat different, both in the liability or fault aspect and the injuries and damages aspect, this is where the experience of the personal injury attorney again shows its importance. An experienced personal injury attorney knows how to evaluate a case to ascertain its value. Once value is ascertained, then it is almost always wise to try and resolve the case amicably by reaching a settlement. This is true because trial is an expensive gamble and a settlement assures that the injured party is compensated in a known amount. First, an experienced personal injury attorney can help you decide if you should accept an offer as fair, or proceed to trial to take your chances. Sometimes the decision is easy, but most often, it is not. How do you get to the point of deciding, you may ask? Negotiation. The insurance companies and their attorneys are very experienced in negotiating settlements and their goal is to pay the least amount of money possible to get a case resolved. If you don’t know how to ascertain the value of your case and don’t know how to negotiate, you have little chance of maximizing the offer of settlement and the insurance companies will achieve their goal-at your expense. If the insurance company never extends a fair offer, then trial becomes necessary. A courtroom can be an intimidating place for someone who has never been there before. There are certain rules that must be followed to present a case and get your evidence into the record to be considered by the jury. Your doctors must be questioned appropriately to get their opinions into the record. Experts in certain fields may have to testify in some cases, and must be questioned on their opinions. Arguments, both legal and factual will need to be made. A jury must be persuaded to rule in your favor. As stated above, most injured individuals don’t even know where or how to start the process. An experienced personal injury attorney does and can help maximize your recovery, whether by settlement or verdict. Most people understand that one of the most basic requirements with a work injury is to report it to their employer. However, even when an injury is reported, problems can still develop with what was or was not said at the time the injury was reported, or even with what was or was not said at a later time regarding the injury. If you sustain a work injury, and you remember to follow these how to report a workplace injury tips, chances are much better that your claim will be accepted without even needing to get an attorney involved, and will make your claim much more winnable if you do need an attorney. Report your workplace injury as soon as possible, to your supervisor or the designated individual by your employer for reporting injuries. It is very important that you report your injury as soon as possible. Although the law gives you as much as 120 days to report an injury, delaying even one day in reporting your injury will raise suspicions, and can be enough reason to justify a denial by the insurance company. Always be sure that you are reporting the injury to a proper individual. Simply telling your coworker about your injury is not sufficient, and the injury must be reported to your supervisor or some other individual who is designated for that purpose by your employer. Be sure to report all injuries from the incident. We often see disputes develop because someone has sustained injuries to more than one part of their body in a work-related injury, but only focuses on the more serious problem. For example, if this you twist and fracture your ankle, but at the same time you experience a little bit of back pain, it is very important to report to back pain also even though the ankle fracture is clearly the more serious injury at the time. Report any new problems that develop that may be from your injury as soon as possible also. Sometimes new problems will develop from a work injury. Using the example above, if you sustain an ankle injury, and as a result have to wear a walking cast or boot for a period of time, walking in an awkward manner can cause low back problems. Sometimes people sustain injuries during the treatment of the work injury, such as in physical therapy. If anything like this happens, you should report this to your employer and the workers’ compensation carrier (if one has become involved) and your doctor as soon as possible. Be consistent with what you report to your employer and any doctors that you see. Often times our clients are extremely surprised when we obtain their medical records, and the history of how the injury occurred and the problems that developed from the injury are not well documented in their medical records. We see many instances where doctors only write down the more serious problem, especially if they are a specialist that is focusing on that problem, and fail to document the less serious (at that time) issues. We also often see issues with how the doctors indicate the injury occurred. Many of these problems can be avoided if the doctor has an intake form that you complete, as long as you are careful to put on there the correct information about the injuries sustained and how the injury occurred. It is also worth asking to see your medical records from your doctor’s office after they are prepared, to make sure that the history was correctly recorded. Any discrepancies in the history of how your injury occurred or the details of what injuries you sustained are much more likely to lead to your claim being denied by the insurance company, potentially requiring you to obtain an attorney. While we appreciate your business, we also would like to help you avoid needing our services where possible. 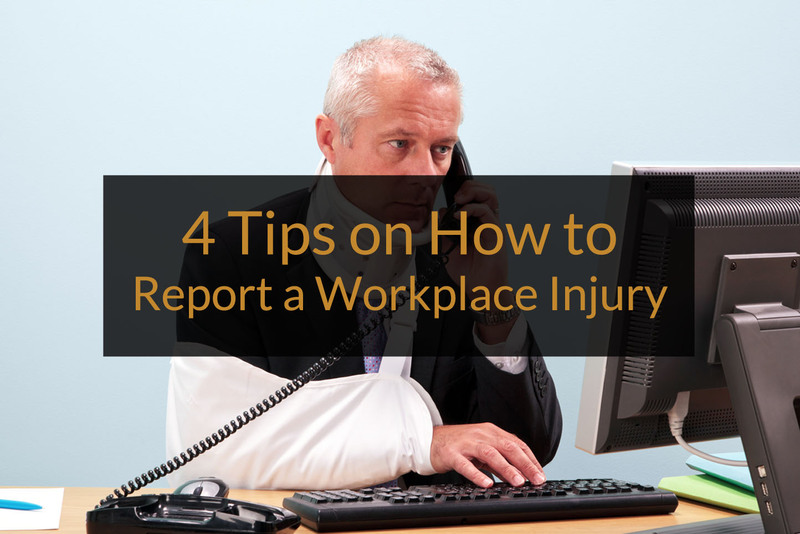 You may do just that by following these tips on, How to Report a Workplace Injury. Many people have conditions affecting their neck or back. Almost all of us have had some neck pain after sleeping the wrong way, or back pain after vigorous or heavy activity. Also, some people, as they age, develop degenerative or arthritic conditions of the spine that they do not even know about because no testing was ever performed to see if they exist. Sometimes, these changes can occur and never cause a person any problems until an accident occurs. Sometimes, although the condition has caused occasional or periodic problems over the years, an accident can make these problems recur or worsen, with more intense and longer lasting pain. This article will focus on those pre-existing neck and back conditions that did cause a person problems, especially problems that required some treatment before an injury-causing accident occurs. These situations pose often complicated questions that require the attention of an experienced personal injury attorney. The person that caused the injury, his or her insurance company, and/or attorney will attempt to blame most or all of the problems that arose after the accident, on the pre-existing condition of the injured person. In fact, often they will retain a doctor to examine the injured person to back up this attempt with a medical opinion that this is the case. If you don’t have a doctor in your corner to counter the opinion of the insurance doctor, then you have little chance of obtaining any recovery for your injuries. Also, the other side will try to use your words against you to defend against your claim, and if you do or say the wrong things, this tactic will work. How can you prevent this from happening, or at least minimize the effect? The first thing you need to do is retain an experienced personal injury lawyer, very early on in the process. Putting the following suggestions to work will help too. The first this you should do, as soon as you feel that you may need medical treatment following an accident, is to get that treatment. Do not delay. The more time that goes by between the occurrence of an accident and the start of medical treatment, the stronger the argument becomes that it’s not the accident that is causing the problem. This is especially true of you often treated, regularly and very close in time before the accident occurred. No matter when or to whom you visit for medical treatment, give a complete and accurate history of not only the recent accident causing you to visit the doctor, but also of the problems that you had before the accident. Do this with each different doctor, hospital and facility you visit, so that all will have a good understanding of your medical situation. A doctor who supports that your problems are accident-related, without knowing about your prior history of problems probably won’t do you much good in the long-run and may even backfire and then damage your case. When you tell the doctor how you are feeling or what is bothering you, be sure to let the doctor know if there are any differences between how you feel after the accident, and what you felt like before the accident occurred. Some of the differences may be large, such as feeling pain not only just in the neck or back like before the accident, but also pain running down your arms or legs that wasn’t there before the accident. Some of these differences may be small, like the pain being worse, more intense, or longer-lasting than before the accident. It is very important to let the doctor know if you have had periodic problems in the past, but were really not having any symptoms, treatment or difficulty with activities in the time period immediately before the accident. Perhaps the most important “do,” is to tell your attorney about the neck and/or back problems you had before the accident occurred. If your attorney doesn’t know about this, then your attorney can’t properly prepare to counter the problems that will arise down the road. Your attorney needs to know everything about your past condition. How did it feel? How is it different now? With whom did you treat? When did the medical treatment take place? When was your last medical treatment before the accident? What type of medical treatment and testing did you have before the accident? If your attorney knows about these things, he or she can obtain those prior treatment records and go over them with you so neither of you are surprised when the other side brings it up. Surprise in these circumstances almost always does bad things to your case. Your attorney can likely do something about what is, but not about what is not. We now all live in a computerized world where much information is available at the touch of a button. The other side will eventually find out that you had past problems and they won’t tell you they know until it’s too late for your case to be successful. Even before the computer age, this was true. It’s even more so now. Hiding the past condition is the worst thing you can do. If you deny that you had problems before the accident and the other side proves that you did have them, then your credibility or believability is seriously compromised and if you have no credibility, you have no case. Similar to hiding the condition altogether, is the situation of trying to make it look like the past condition was not much of a problem or was less of a problem than it actually was. Again, if you do this, and it proves to be untrue, you have compromised your credibility. Tell it like it is – especially if testifying under oath. Your attorney can handle this, especially with prior knowledge. Your attorney won’t be able to accomplish much if he or she is surprised by the past condition or its severity. Think very hard and thoroughly when asked if you have ever treated for similar problems in the past. An experienced personal injury attorney may be the first one to ask the question, if you visit him or her soon enough after the accident. Make a good faith effort to remember medical treatment occurring before the accident because if you do recall and tell your attorney, he or she can further and better prepare you with those treatment records. Don’t forget about past treatment, especially that which occurred close in time before the accident, because it will look like “forgetting” was just convenient. It is harder to believe that medical treatment which occurred in the recent past was simply forgotten and again, if your credibility is compromised, so is your case.